Ramus tu american ke bro? Sorry if i irritate yr posting. No hard feelings. Cheers! thank you acik @seribulan banyak kasi kedit kat kita harini. nampak benar iols mengomen kat semua benang, haha..
No prob, acik dot...got 3 more quizzes...go and try them. 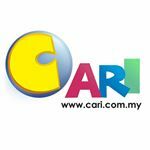 mostly malaysian lebih kuat ke american english... tibi kat malaysia memang 90 percent shows dari America.. walhal kat sekolah kita guna english uk.. so nampak tak pengaruh tibi ke sekolah yg lebih kuat? You are American, but have been living in the UK for some time. Your speech is almost entirely American English. 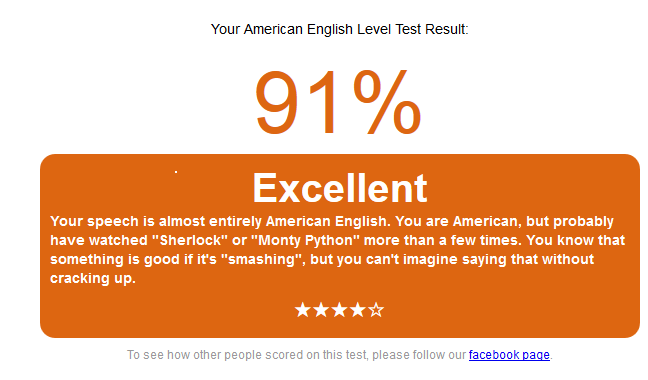 You are American, but probably have watched "Sherlock" or "Monty Python" more than a few times. You know that something is good if it's "smashing", but you can't imagine saying that without cracking up.